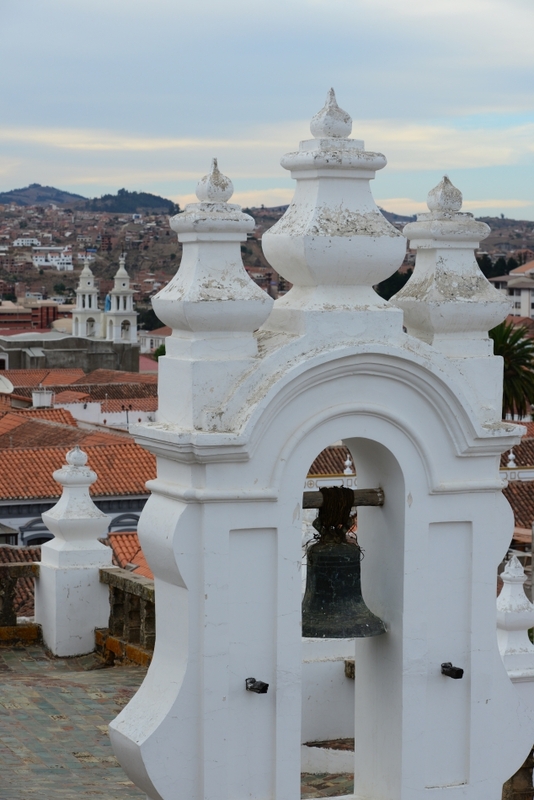 From Santa Cruz, we took a morning flight to Sucre, the constitutional capital of Bolivia. 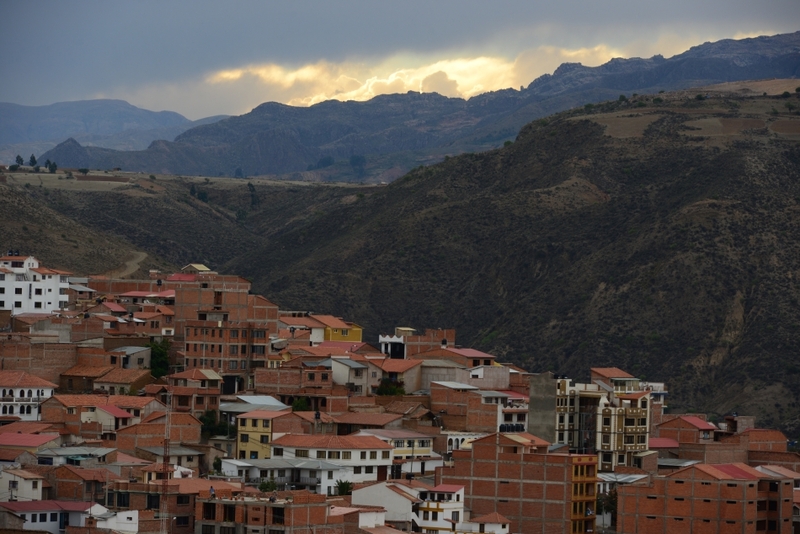 At 2750m above sea level, the arrival of Sucre marked our first stop on the Bolivian highlands. 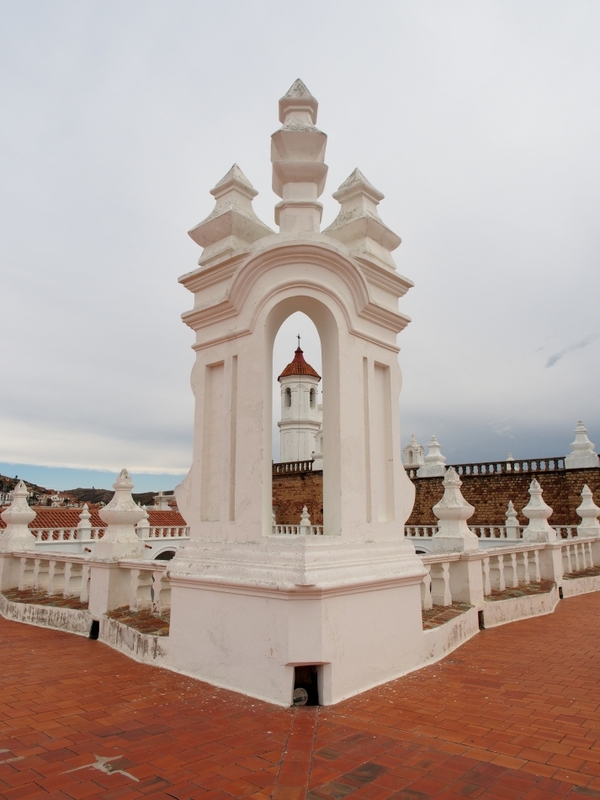 Nicknamed as the “White City”, this World Heritage city contains some well-preserved colonial architecture. 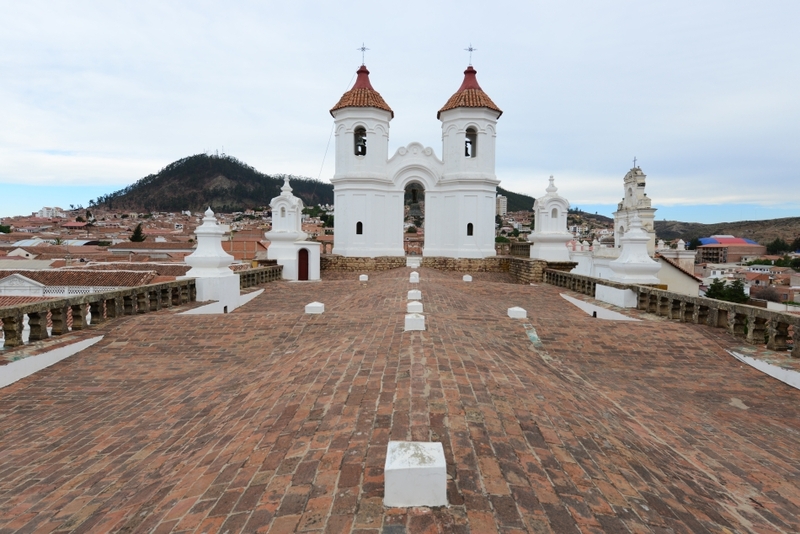 To appreciate the white colonial architecture, we went up to the rooftop of Convento de San Felipe Neri. 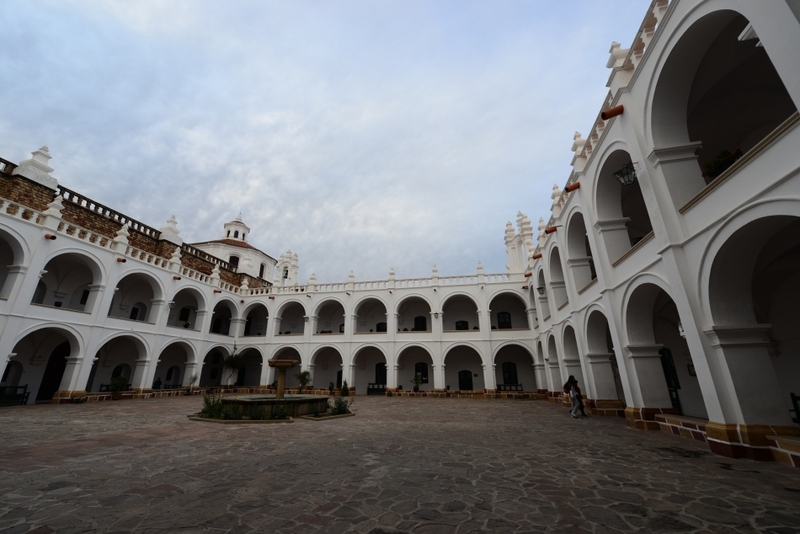 Formerly a monastery, San Felipe Neri is now a parochial school which only opens to the public in late afternoon. 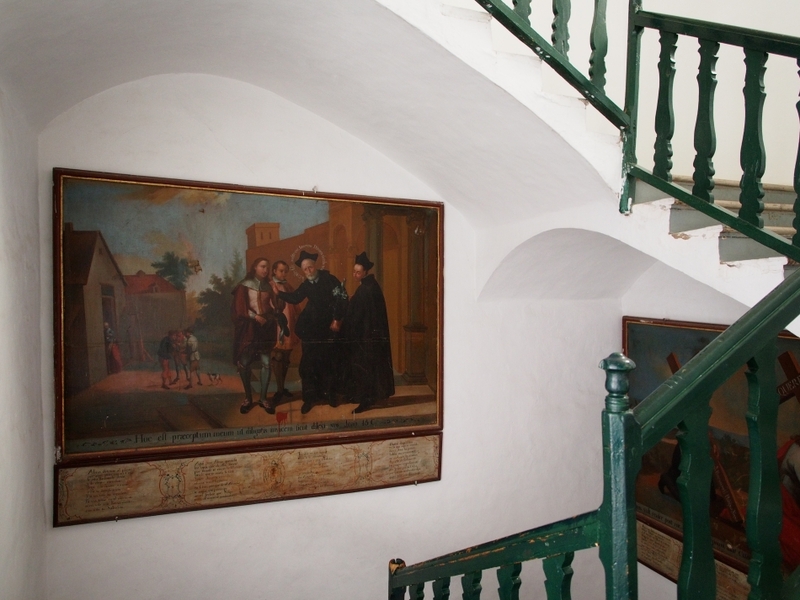 Upon arrival, we walked past the main courtyard, admired some of the religious paintings, and then ascended one of the stairs to reach the rooftop terrace, the highlight of the visit. 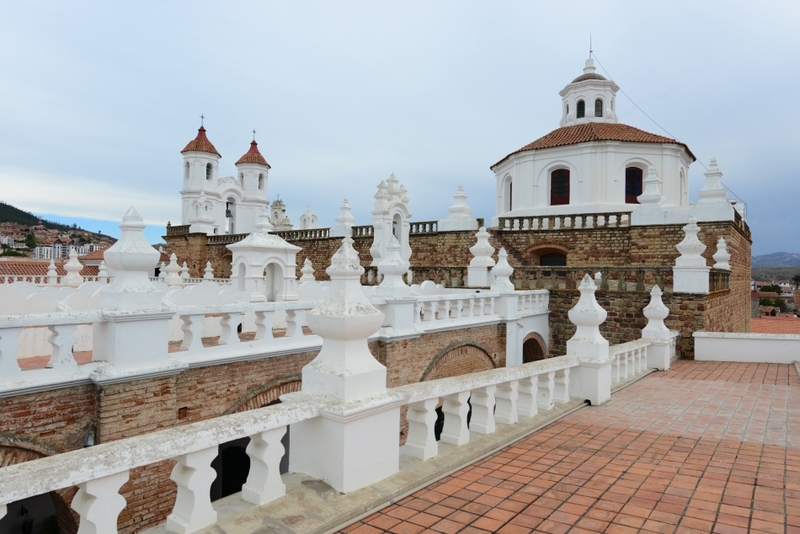 At the rooftop, not only the views of the surrounding buildings were amazing, but also the layering of balustrades, terraces, and bell towers of San Felipe Neri were lovely as well. We could have spent the entire afternoon up there if not restricted by their opening time. This entry was posted on November 10, 2013 by Blue Lapis Road. 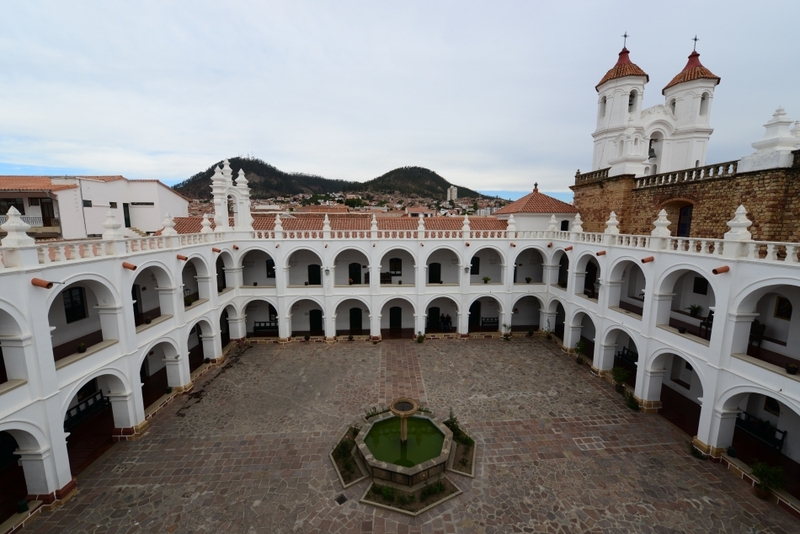 It was filed under Bolivia, Day 31 to 40, Sucre and was tagged with Architecture, Bolivia, colonial, Convent, Convento de San Felipe Neri, Sucre.